Happy Black History Month MSAN Community! 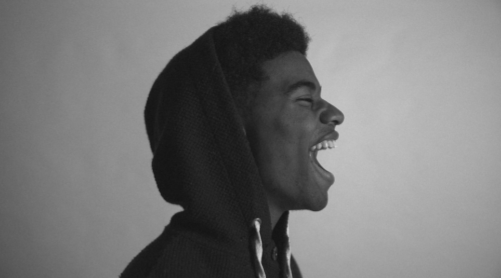 In this February 2019 MSAN Minute, we include information on how to use federal Office of Civil Rights data in our educational equity work, highlight a fact sheet that distinguishes between myths and facts on school discipline, and celebrate the selection of one of our own, Evanston teacher Corey Winchester, for a prestigious Illinois educational policy fellowship! 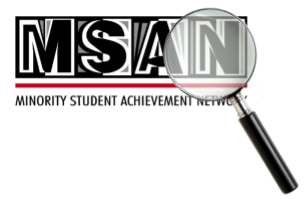 Also, note important announcements below on the MSAN Institute--registration closes March 8, and the planning team hopes to include a few more breakout sessions on our current MSAN focus area, ending racial disparities in school discipline. Thank you, MSAN colleagues! Hope you're staying warm! The MSAN Institute is MSAN’s annual conference on ending the effects of racism on schools. This year's conference will be held April 15 and 16 in Madison, Wisconsin. Open to MSAN members as well as to the wider community, Institute keynotes and breakout sessions highlight practices for classroom teachers, building- or district-level decision makers, and family engagement leaders--outlining current initiatives and informing future research. Visit the Institute website to register today! Member districts have six free registrations each. Join us! Also, the Call for Proposals for MSAN Institute breakout sessions is being kept open through February 15 to encourage more submissions that focus on our MSAN annual focus area, which is eliminating racial discipline disparities. Please share this Institute flyer far and wide! Last spring, the U.S. Department of Education released its new Civil Rights Data Collection, the most comprehensive information to date on educational opportunity and equity in every public school and district in the country. See this Education Week article how those data reflect a growth of racial discipline disparities in schools. At last year's MSAN Institute, Dr. Donna Y. Ford shared information on using federal OCR data to track racial disparities in advanced learning. See this article by friend-of-MSAN Dr. Scott Peters on how to access those advanced learning data. While the extent of and reasons for disciplinary disparities have been well documented for at least the last 40 years, a number of inaccurate assumptions and myths remain popular but lack research support. This fact sheet from the Center for Evaluation and Education Policy Equity Project at Indiana University describes many of the most common claims about disciplinary disparities, and what research actually says about them. 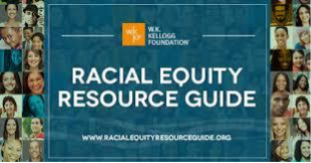 This resource is included as part of a larger collection of resources in the America Healing Racial Equity Resource Guide from the Kellogg Foundation. 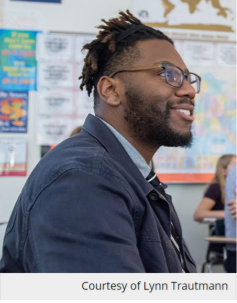 Evanston Township High School Teacher/Advisor/MSAN Student Conference Chaperone Corey Winchester is one of 20 teachers in Illinois recently selected for the2018-2019 Teach Plus Illinois Teaching Policy Fellowship. The nine-month program brings together teachers from across the state to improve policy and practice in education, working on issues such as school discipline, teacher preparation and retention of teachers of color. Corey has been a history and social sciences teacher at Evanston Township High School since 2010. Congratulations, Corey!!! Thank you for your leadership!